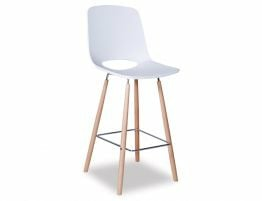 A modern white kitchen is among the most lasting trends given its clean, chic style. 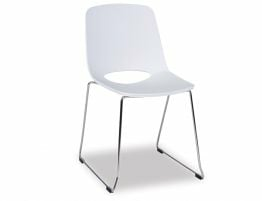 The Wasowsky white commercial café chairs from OOland offer the perfect update to your kitchen, dining room, restaurant or café. 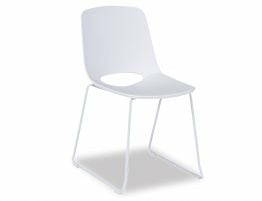 The Wasowsky white modern café chairs offers a clean, classic modern dining chair with exceptional style and a serious designer pedigree designed by Enrique Marti for OOland. 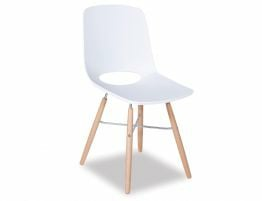 Whether you imagine an active family kitchen or bustling cafe dining room, this white kitchen chair shows off clean lines and a crisp, modern form. 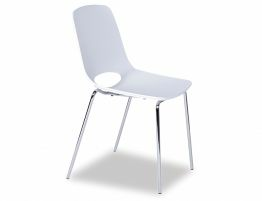 White is clean, pure, classic and chic so what better way to update your space than with this classic, modern dining chair. 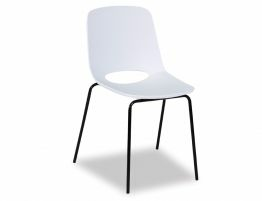 While we love this as a café chair or casual modern dining chair, it works nearly anywhere. 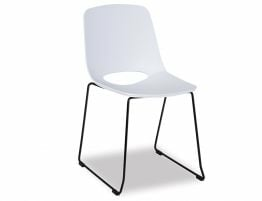 With a white moulded seat shell and a chrome steel base, you can easily use this stylish chair as a task or desk chair as well.